Reference number for this case: 9-Oct-54-Trilport. Thank you for including this reference number in any correspondence with me regarding this case. 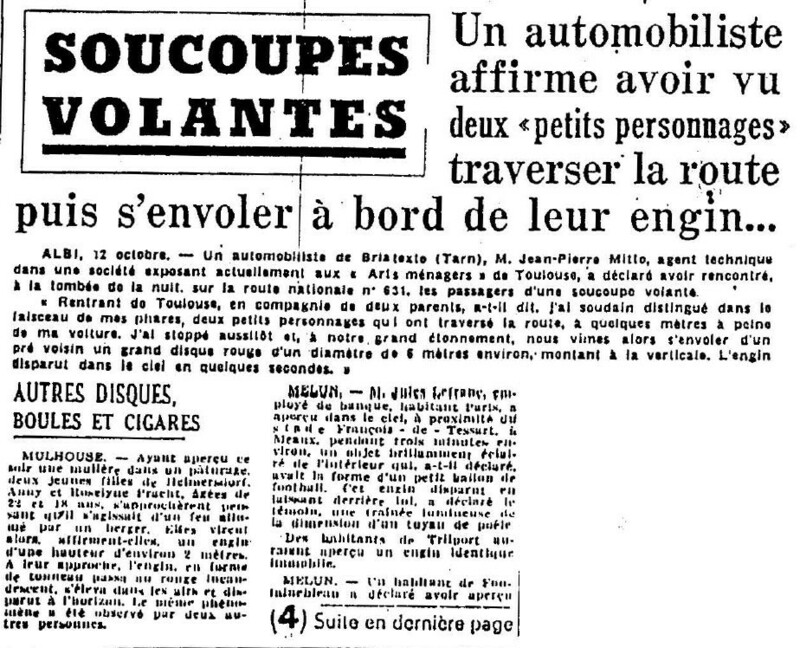 The website indicates that on 9 October 1954 in Trilport, France, "An unidentified object was sighted, that had an unusual appearance or performance. One cigar-shaped object, about 1 foot across, was observed by several witnesses." 1.0 Patrick Gross June 28, 2010 First published, [jv5], [ud1]. 1.1 Patrick Gross September 21, 2014 Addition [ha1]. Explanations changed from "Not looked for yet" to "Obvious description of a meteor" thanks to he information found on September 21, 2014, in [ha1].